The city of Bowling Green has a strong history, dating all the way back to 1775. The city, citizens, and the historic preservation board all keep the spirit of Bowling Green past and present alive and is what drives this city not to be just any other city but to be Bowling Green City. Learn about the early history of Bowling Green, which began as a lonely settlement in the wilderness and quickly became a thriving commercial center. 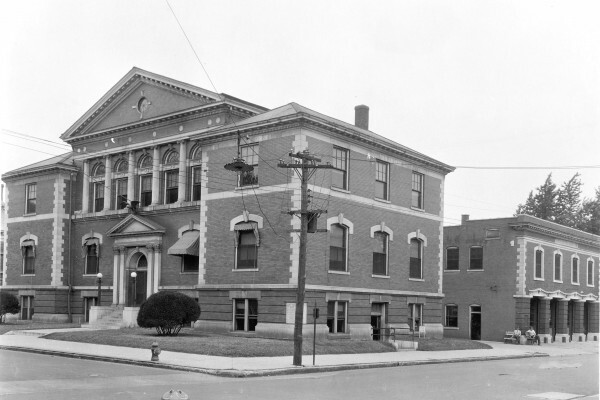 Learn about the history of Bowling Green City Hall. Discover where City Hall was originally located, when the new building was created, and historic events that have taken place at the current location. View images from the long history of the Bowling Green Fire Department. Read a detailed overview on the history of the Bowling Green Police Department. Learn more about the history of the Bowling Green Parks & Recreation Department. Also, review some of the many awards the department has won over the years. Learn more about the history of the cemetery system in Bowling Green, Kentucky. View images of past mayors of the City of Bowling Green. Images go back into the 1870's. View historical photos taken throughout Bowling Green, Kentucky of various popular locations and departments. For 20 years the City of Bowling Green participated in the Sister City program with Kawanishi, Japan. Learn about this and the student exchange program that took place. View the history of the City of Bowling Green's seal/flag, and download copies that can be used by the public.